Many don’t appreciate how truly amazing the human mouth and teeth are. There are so many teeth attached to moving platforms that usually line up perfectly and last for years. It’s truly astounding when you think about it. Even with all the dental advancements we have achieved throughout the years, the best family dentist generally agrees it’s better to restore natural teeth than to replace them with artificial. We also believe this and strive to help our patients maintain the most beautiful, natural and healthy smiles possible through top-quality restorative dentistry. HOWEVER, sometimes it is not possible to save or restore a natural tooth and we therefore offer the best restorative dental treatments to aesthetically restore your smile to it’s ideal state. DENTAL CROWNS | Dental crowns are artificial tooth crowns designed to replace your natural tooth crown. We are often able to save a natural tooth root and can therefore simply replace the visible portion (dental crown) with an artificial dental crown that looks and functions just as it should—without you noticing it. DENTAL FILLINGS | Our dental fillings are strong, durable, natural-looking, and much more healthy than the old metal fillings. No more silvery smile for you! 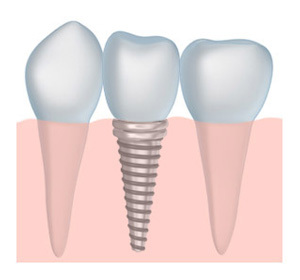 DENTAL IMPLANTS | Dental implants are one of the most popular treatments we offer. A dental implant is an artificial tooth root that serves as a foundation for our great looking and functional dental crowns, dental bridges or supported dentures. IMPLANT-SUPPORTED DENTURES | Implant-supported dentures are an artificial series of teeth that are supported by one or multiple dental implants. Denture implants offer the benefit of being permanent and requiring less maintenance than regular dentures. 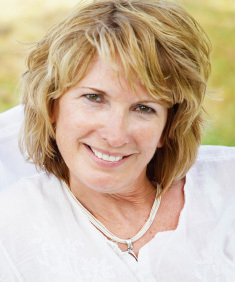 REGULAR DENTURES | Regular dentures have also made significant strides over the years. The quality of materials and construction used at our Arlington, TX, restorative dentistry office is superb. Though regular dentures are not as ideal as your natural teeth, you can still live a happy full life with the help of our regular dentures or implant-supported dentures treatment. To learn more about restorative dental services such as dental crowns, dentures, implant-supported dentures or other restorative dentistry treatments, give us a call at our Arlington, TX, dentist office today! We serve patients all over the Fort Worth area, including Grand Prairie and Mansfield, TX.